Celebrating the success of the 2017/18 beach volleyball season, the Beach Volleyball Annual Awards was held on Saturday, 19 May 2018. Registrations for the July Junior Pirates Camp are now open. PVL and Junior PVL are underway. Stay up-to-date with the draw and results. Volleyball Queensland (VQ) is a not-for-profit, member-based organisation focused on increasing participation in all forms of volleyball throughout Queensland. Supported by 19 affiliated clubs and associations stretching from Cairns to the Gold Coast, VQ provides volleyball opportunities for players young and old, experienced and novice through its competitive, recreational, and school-based events. 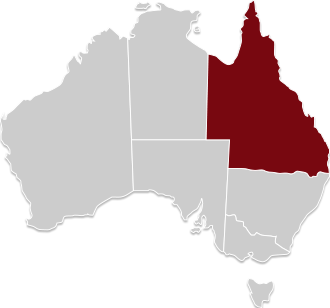 Complete the fields below to connect with your closest Volleyball Queensland affiliate. The 2018 Australian Junior Beach Volleyball Championships were held during April in Bunbury, Western Australia, where the Queensland teams continued Volleyball Queensland's legacy, claiming the Andy Burdin Shield for the sixth consecutive year. As beach volleyball made its debut at the 2018 Commonwealth Games, Volleyball Queensland's members, staff, and affiliates were keen to experience the action on home soil.